Offer not valid in Puerto Rico. Lease financing available on new 2019 BMW X5 xDrive40i models from participating BMW Centers through BMW Financial Services through April 30, 2019, to eligible, qualified customers with excellent credit history who meet BMW Financial Services’ credit requirements. Monthly lease payments of $739 per month for 36 months is based on an adjusted capitalized cost of $57,927 (MSRP of $63,395, including destination and handling fee of $995, less $3,500 customer down, $0 security deposit and suggested dealer contribution of $1,218 and $750 Loyalty/ Conquest Certificate). Actual MSRP may vary. Dealer contribution may vary and could affect your actual lease payment. Cash due at signing includes $3,500 down payment, $739 first month’s payment, $925 acquisition fee and $0 security deposit. Lessee responsible for insurance during the lease term, excess wear and tear as defined in the lease contract, $0.25/mile over 30,000 miles and a disposition fee of $350 at lease end. Not all customers will qualify for security deposit waiver. Tax, title, license, registration and dealer fees are additional fees due at signing. Advertised payment does not include applicable taxes. Purchase option at lease end, excluding tax, title and government fees, is $37,403. Offer valid through April 30, 2019 and may be combined with other offers unless otherwise stated. Models pictured may be shown with metallic paint and/or additional accessories. Visit your authorized BMW Center for important details. ©2019 BMW of North America, LLC. The BMW name, model names and logo are registered trademarks. NAV, Sunroof, Heated Seats. xDrive40i trim, Alpine White exterior and Black SensaTec interior. FUEL EFFICIENT 26 MPG Hwy/20 MPG City! CLICK NOW! KEY FEATURES INCLUDE Navigation, Sunroof, Panoramic Roof, All Wheel Drive, Power Liftgate, Turbocharged, iPod/MP3 Input, Onboard Communications System, Aluminum Wheels, Cross-Traffic Alert, Smart Device Integration, Blind Spot Monitor. BMW xDrive40i with Alpine White exterior and Black SensaTec interior features a Straight 6 Cylinder Engine with 335 HP at 5500 RPM*. OPTION PACKAGES CONVENIENCE PACKAGE 4-Zone Automatic Climate Control, SiriusXM Satellite Radio w/1 Year All Access, Comfort Access Keyless Entry, PARKING ASSISTANCE PACKAGE Rear View Camera, Surround View w/3D View, Parking Assistant Plus, REMOTE ENGINE START, HEATED FRONT SEATS W/ARMRESTS & STEERING WHEEL, SPORT SEATS (STD). Rear Spoiler, MP3 Player, Privacy Glass, Child Safety Locks, Steering Wheel Controls. EXPERTS REPORT The ride is comfortable yet composed and manages to deal with most road surfaces without disturbing the passengers. The cabin is well-insulated from noise, too. -Edmunds.com. Horsepower calculations based on trim engine configuration. Fuel economy calculations based on original manufacturer data for trim engine configuration. Please confirm the accuracy of the included equipment by calling us prior to purchase. NAV, Sunroof, Heated Seats. xDrive40i trim, Arctic Grey Metallic exterior and Black SensaTec interior. EPA 26 MPG Hwy/20 MPG City! CLICK ME! KEY FEATURES INCLUDE Navigation, Sunroof, Panoramic Roof, All Wheel Drive, Power Liftgate, Heated Driver Seat, Back-Up Camera, Turbocharged, iPod/MP3 Input, Onboard Communications System, Cross-Traffic Alert, Smart Device Integration, Blind Spot Monitor, Heated Seats BMW xDrive40i with Arctic Grey Metallic exterior and Black SensaTec interior features a Straight 6 Cylinder Engine with 335 HP at 5500 RPM*. OPTION PACKAGES CONVENIENCE PACKAGE 4-Zone Automatic Climate Control, SiriusXM Satellite Radio w/1 Year All Access, Comfort Access Keyless Entry, WHEELS: 20 X 9 V-SPOKE (STYLE 738) Tires: P275/45R20 Run-Flat AS, REMOTE ENGINE START, SPORT SEATS (STD). Rear Spoiler, MP3 Player, Privacy Glass, Child Safety Locks, Steering Wheel Controls. EXPERTS REPORT Edmunds.com explains The ride is comfortable yet composed and manages to deal with most road surfaces without disturbing the passengers. The cabin is well-insulated from noise, too.. Horsepower calculations based on trim engine configuration. Fuel economy calculations based on original manufacturer data for trim engine configuration. Please confirm the accuracy of the included equipment by calling us prior to purchase. Moonroof, Heated Seats, Nav System, Panoramic Roof. xDrive40i trim, Mineral White Metallic exterior and Black SensaTec interior. READ MORE! KEY FEATURES INCLUDE Navigation, Sunroof, Panoramic Roof, All Wheel Drive, Power Liftgate, Turbocharged, iPod/MP3 Input, Onboard Communications System, Aluminum Wheels, Cross-Traffic Alert, Smart Device Integration, Blind Spot Monitor BMW xDrive40i with Mineral White Metallic exterior and Black SensaTec interior features a Straight 6 Cylinder Engine with 335 HP at 5500 RPM*. OPTION PACKAGES CONVENIENCE PACKAGE 4-Zone Automatic Climate Control, SiriusXM Satellite Radio w/1 Year All Access, Comfort Access Keyless Entry, PARKING ASSISTANCE PACKAGE Rear View Camera, Surround View w/3D View, Parking Assistant Plus, FRONT & REAR HEATED SEATS, REMOTE ENGINE START, HEATED FRONT SEATS W/ARMRESTS & STEERING WHEEL, SPORT SEATS (STD). Rear Spoiler, MP3 Player, Privacy Glass, Child Safety Locks, Steering Wheel Controls. EXPERTS CONCLUDE Edmunds.com's review says The ride is comfortable yet composed and manages to deal with most road surfaces without disturbing the passengers. The cabin is well-insulated from noise, too.. Horsepower calculations based on trim engine configuration. Fuel economy calculations based on original manufacturer data for trim engine configuration. Please confirm the accuracy of the included equipment by calling us prior to purchase. Sunroof, Heated Seats, NAV, Panoramic Roof. Arctic Grey Metallic exterior and Canberra Beige/Black SensaTec interior, xDrive40i trim. CLICK NOW! KEY FEATURES INCLUDE Navigation, Sunroof, Panoramic Roof, All Wheel Drive, Power Liftgate, Back-Up Camera, Turbocharged, iPod/MP3 Input, Onboard Communications System, Cross-Traffic Alert, Smart Device Integration, Blind Spot Monitor BMW xDrive40i with Arctic Grey Metallic exterior and Canberra Beige/Black SensaTec interior features a Straight 6 Cylinder Engine with 335 HP at 5500 RPM*. OPTION PACKAGES CONVENIENCE PACKAGE 4-Zone Automatic Climate Control, SiriusXM Satellite Radio w/1 Year All Access, Comfort Access Keyless Entry, WHEELS: 20 X 9 V-SPOKE (STYLE 738) Tires: P275/45R20 Run-Flat AS, FRONT & REAR HEATED SEATS, REMOTE ENGINE START, HEATED FRONT SEATS W/ARMRESTS & STEERING WHEEL, SPORT SEATS (STD). Rear Spoiler, MP3 Player, Privacy Glass, Steering Wheel Controls, Child Safety Locks. EXPERTS ARE SAYING Edmunds.com explains The ride is comfortable yet composed and manages to deal with most road surfaces without disturbing the passengers. The cabin is well-insulated from noise, too.. Horsepower calculations based on trim engine configuration. Fuel economy calculations based on original manufacturer data for trim engine configuration. Please confirm the accuracy of the included equipment by calling us prior to purchase. NAV, Sunroof, Heated Seats, Turbo. EPA 26 MPG Hwy/20 MPG City! xDrive40i trim, Alpine White exterior and Black SensaTec interior CLICK ME! KEY FEATURES INCLUDE Navigation, Sunroof, Panoramic Roof, All Wheel Drive, Power Liftgate, Back-Up Camera, Turbocharged, iPod/MP3 Input, Onboard Communications System, Cross-Traffic Alert, Smart Device Integration, Blind Spot Monitor BMW xDrive40i with Alpine White exterior and Black SensaTec interior features a Straight 6 Cylinder Engine with 335 HP at 5500 RPM*. OPTION PACKAGES PREMIUM PACKAGE 2 Enhanced USB & Bluetooth, Head-Up Display, Wireless Charging, Gesture Control, WiFi Hotspot, CONVENIENCE PACKAGE 4-Zone Automatic Climate Control, SiriusXM Satellite Radio w/1 Year All Access, Comfort Access Keyless Entry, WHEELS: 20 X 9 V-SPOKE (STYLE 738) Tires: P275/45R20 Run-Flat AS, FRONT & REAR HEATED SEATS, REMOTE ENGINE START, HEATED FRONT SEATS W/ARMRESTS & STEERING WHEEL, SPORT SEATS (STD). Rear Spoiler, Privacy Glass, Steering Wheel Controls, Child Safety Locks, Electronic Stability Control. EXPERTS REPORT Edmunds.com's review says The ride is comfortable yet composed and manages to deal with most road surfaces without disturbing the passengers. The cabin is well-insulated from noise, too.. Horsepower calculations based on trim engine configuration. Fuel economy calculations based on original manufacturer data for trim engine configuration. Please confirm the accuracy of the included equipment by calling us prior to purchase. Nav System, Moonroof, Heated Seats. Alpine White exterior and Black SensaTec interior, xDrive40i trim. EPA 26 MPG Hwy/20 MPG City! CLICK NOW! KEY FEATURES INCLUDE Navigation, Sunroof, Panoramic Roof, All Wheel Drive, Power Liftgate, Back-Up Camera, Turbocharged, iPod/MP3 Input, Onboard Communications System, Cross-Traffic Alert, Smart Device Integration, Blind Spot Monitor BMW xDrive40i with Alpine White exterior and Black SensaTec interior features a Straight 6 Cylinder Engine with 335 HP at 5500 RPM*. OPTION PACKAGES PREMIUM PACKAGE 2 Enhanced USB & Bluetooth, Head-Up Display, Wireless Charging, Gesture Control, WiFi Hotspot, CONVENIENCE PACKAGE 4-Zone Automatic Climate Control, SiriusXM Satellite Radio w/1 Year All Access, Comfort Access Keyless Entry, WHEELS: 20 X 9 V-SPOKE (STYLE 738) Tires: P275/45R20 Run-Flat AS, FRONT & REAR HEATED SEATS, REMOTE ENGINE START, HEATED FRONT SEATS W/ARMRESTS & STEERING WHEEL, SPORT SEATS (STD). Rear Spoiler, Privacy Glass, Steering Wheel Controls, Child Safety Locks, Electronic Stability Control. EXPERTS RAVE Edmunds.com's review says The ride is comfortable yet composed and manages to deal with most road surfaces without disturbing the passengers. The cabin is well-insulated from noise, too.. Horsepower calculations based on trim engine configuration. Fuel economy calculations based on original manufacturer data for trim engine configuration. Please confirm the accuracy of the included equipment by calling us prior to purchase. Sunroof, Navigation, Heated Seats. EPA 26 MPG Hwy/20 MPG City! Black Sapphire Metallic exterior and Black SensaTec interior AND MORE! KEY FEATURES INCLUDE Navigation, Sunroof, Panoramic Roof, All Wheel Drive, Power Liftgate, Turbocharged, iPod/MP3 Input, Onboard Communications System, Cross-Traffic Alert, Smart Device Integration, Blind Spot Monitor BMW xDrive40i with Black Sapphire Metallic exterior and Black SensaTec interior features a Straight 6 Cylinder Engine with 335 HP at 5500 RPM*. OPTION PACKAGES CONVENIENCE PACKAGE 4-Zone Automatic Climate Control, SiriusXM Satellite Radio w/1 Year All Access, Comfort Access Keyless Entry, PARKING ASSISTANCE PACKAGE Rear View Camera, Surround View w/3D View, Parking Assistant Plus, WHEELS: 20 X 9 V-SPOKE (STYLE 738) Tires: P275/45R20 Run-Flat AS, FRONT & REAR HEATED SEATS, REMOTE ENGINE START, HEATED FRONT SEATS W/ARMRESTS & STEERING WHEEL, SPORT SEATS (STD). Rear Spoiler, MP3 Player, Privacy Glass, Steering Wheel Controls, Child Safety Locks. VEHICLE REVIEWS Edmunds.com explains The ride is comfortable yet composed and manages to deal with most road surfaces without disturbing the passengers. The cabin is well-insulated from noise, too.. Horsepower calculations based on trim engine configuration. Fuel economy calculations based on original manufacturer data for trim engine configuration. Please confirm the accuracy of the included equipment by calling us prior to purchase. Heated Seats, Nav System, Moonroof, Panoramic Roof, Back-Up Camera, Power Liftgate. xDrive40i trim. EPA 26 MPG Hwy/20 MPG City! SEE MORE! KEY FEATURES INCLUDE Navigation, Sunroof, Panoramic Roof, All Wheel Drive, Power Liftgate, Back-Up Camera, Turbocharged, iPod/MP3 Input, Onboard Communications System, Cross-Traffic Alert, Smart Device Integration, Blind Spot Monitor BMW xDrive40i with Arctic Grey Metallic exterior and Black SensaTec interior features a Straight 6 Cylinder Engine with 335 HP at 5500 RPM*. OPTION PACKAGES PREMIUM PACKAGE 2 Enhanced USB & Bluetooth, Head-Up Display, Wireless Charging, Gesture Control, WiFi Hotspot, CONVENIENCE PACKAGE 4-Zone Automatic Climate Control, SiriusXM Satellite Radio w/1 Year All Access, Comfort Access Keyless Entry, WHEELS: 20 X 9 V-SPOKE (STYLE 738) Tires: P275/45R20 Run-Flat AS, FRONT & REAR HEATED SEATS, REMOTE ENGINE START, HEATED FRONT SEATS W/ARMRESTS & STEERING WHEEL, SPORT SEATS (STD). Rear Spoiler, Privacy Glass, Steering Wheel Controls, Child Safety Locks, Electronic Stability Control. EXPERTS ARE SAYING The ride is comfortable yet composed and manages to deal with most road surfaces without disturbing the passengers. The cabin is well-insulated from noise, too. -Edmunds.com. Horsepower calculations based on trim engine configuration. Fuel economy calculations based on original manufacturer data for trim engine configuration. Please confirm the accuracy of the included equipment by calling us prior to purchase. Heated Seats, NAV, Sunroof. EPA 26 MPG Hwy/20 MPG City! Arctic Grey Metallic exterior and Canberra Beige/Black SensaTec interior CLICK NOW! KEY FEATURES INCLUDE Navigation, Sunroof, Panoramic Roof, All Wheel Drive, Power Liftgate, Back-Up Camera, Turbocharged, iPod/MP3 Input, Onboard Communications System, Cross-Traffic Alert, Smart Device Integration, Blind Spot Monitor BMW xDrive40i with Arctic Grey Metallic exterior and Canberra Beige/Black SensaTec interior features a Straight 6 Cylinder Engine with 335 HP at 5500 RPM*. OPTION PACKAGES PREMIUM PACKAGE 2 Enhanced USB & Bluetooth, Head-Up Display, Wireless Charging, Gesture Control, WiFi Hotspot, CONVENIENCE PACKAGE 4-Zone Automatic Climate Control, SiriusXM Satellite Radio w/1 Year All Access, Comfort Access Keyless Entry, WHEELS: 20 X 9 V-SPOKE (STYLE 738) Tires: P275/45R20 Run-Flat AS, FRONT & REAR HEATED SEATS, REMOTE ENGINE START, HEATED FRONT SEATS W/ARMRESTS & STEERING WHEEL, SPORT SEATS (STD). Rear Spoiler, Privacy Glass, Steering Wheel Controls, Child Safety Locks, Electronic Stability Control. EXPERTS ARE SAYING Edmunds.com explains The ride is comfortable yet composed and manages to deal with most road surfaces without disturbing the passengers. The cabin is well-insulated from noise, too.. Horsepower calculations based on trim engine configuration. Fuel economy calculations based on original manufacturer data for trim engine configuration. Please confirm the accuracy of the included equipment by calling us prior to purchase. Navigation, Moonroof, Heated Seats, Panoramic Roof. Arctic Grey Metallic exterior and Black SensaTec interior, xDrive40i trim. AND MORE! KEY FEATURES INCLUDE Navigation, Sunroof, Panoramic Roof, All Wheel Drive, Power Liftgate, Back-Up Camera, Turbocharged, iPod/MP3 Input, Onboard Communications System, Cross-Traffic Alert, Smart Device Integration, Blind Spot Monitor. BMW xDrive40i with Arctic Grey Metallic exterior and Black SensaTec interior features a Straight 6 Cylinder Engine with 335 HP at 5500 RPM*. OPTION PACKAGES PREMIUM PACKAGE 2 Enhanced USB & Bluetooth, Head-Up Display, Wireless Charging, Gesture Control, WiFi Hotspot, CONVENIENCE PACKAGE 4-Zone Automatic Climate Control, SiriusXM Satellite Radio w/1 Year All Access, Comfort Access Keyless Entry, WHEELS: 20 X 9 V-SPOKE (STYLE 738) Tires: P275/45R20 Run-Flat AS, FRONT & REAR HEATED SEATS, REMOTE ENGINE START, HEATED FRONT SEATS W/ARMRESTS & STEERING WHEEL, SPORT SEATS (STD). Rear Spoiler, Privacy Glass, Steering Wheel Controls, Child Safety Locks, Electronic Stability Control. EXPERTS RAVE Edmunds.com's review says The ride is comfortable yet composed and manages to deal with most road surfaces without disturbing the passengers. The cabin is well-insulated from noise, too.. Horsepower calculations based on trim engine configuration. Fuel economy calculations based on original manufacturer data for trim engine configuration. Please confirm the accuracy of the included equipment by calling us prior to purchase. Nav System, Moonroof, Heated Seats, Panoramic Roof. xDrive40i trim, Arctic Grey Metallic exterior and Black SensaTec interior. AND MORE! KEY FEATURES INCLUDE Navigation, Sunroof, Panoramic Roof, All Wheel Drive, Power Liftgate, Back-Up Camera, Turbocharged, iPod/MP3 Input, Onboard Communications System, Cross-Traffic Alert, Smart Device Integration, Blind Spot Monitor BMW xDrive40i with Arctic Grey Metallic exterior and Black SensaTec interior features a Straight 6 Cylinder Engine with 335 HP at 5500 RPM*. OPTION PACKAGES PREMIUM PACKAGE 2 Enhanced USB & Bluetooth, Head-Up Display, Wireless Charging, Gesture Control, WiFi Hotspot, CONVENIENCE PACKAGE 4-Zone Automatic Climate Control, SiriusXM Satellite Radio w/1 Year All Access, Comfort Access Keyless Entry, WHEELS: 20 X 9 V-SPOKE (STYLE 738) Tires: P275/45R20 Run-Flat AS, FRONT & REAR HEATED SEATS, REMOTE ENGINE START, HEATED FRONT SEATS W/ARMRESTS & STEERING WHEEL, SPORT SEATS (STD). Rear Spoiler, Privacy Glass, Steering Wheel Controls, Child Safety Locks, Electronic Stability Control. EXPERTS REPORT The ride is comfortable yet composed and manages to deal with most road surfaces without disturbing the passengers. The cabin is well-insulated from noise, too. -Edmunds.com. Horsepower calculations based on trim engine configuration. Fuel economy calculations based on original manufacturer data for trim engine configuration. Please confirm the accuracy of the included equipment by calling us prior to purchase. Sunroof, Heated Seats, Navigation, Power Liftgate. Terra Brown Metallic exterior and Cognac Vernasca Leather interior, xDrive40i trim AND MORE! KEY FEATURES INCLUDE Navigation, Sunroof, Panoramic Roof, All Wheel Drive, Power Liftgate, Turbocharged, iPod/MP3 Input, Onboard Communications System, Aluminum Wheels, Cross-Traffic Alert, Smart Device Integration, Blind Spot Monitor BMW xDrive40i with Terra Brown Metallic exterior and Cognac Vernasca Leather interior features a Straight 6 Cylinder Engine with 335 HP at 5500 RPM*. OPTION PACKAGES CONVENIENCE PACKAGE 4-Zone Automatic Climate Control, SiriusXM Satellite Radio w/1 Year All Access, Comfort Access Keyless Entry, PARKING ASSISTANCE PACKAGE Rear View Camera, Surround View w/3D View, Parking Assistant Plus, REMOTE ENGINE START, HEATED FRONT SEATS W/ARMRESTS & STEERING WHEEL, SPORT SEATS (STD). Rear Spoiler, MP3 Player, Privacy Glass, Child Safety Locks, Steering Wheel Controls. EXPERTS ARE SAYING The ride is comfortable yet composed and manages to deal with most road surfaces without disturbing the passengers. The cabin is well-insulated from noise, too. -Edmunds.com. Horsepower calculations based on trim engine configuration. Fuel economy calculations based on original manufacturer data for trim engine configuration. Please confirm the accuracy of the included equipment by calling us prior to purchase. Moonroof, Nav System, Heated Seats. Dark Graphite Metallic exterior and Canberra Beige/Black SensaTec interior, xDrive40i trim CLICK NOW! KEY FEATURES INCLUDE Navigation, Sunroof, Panoramic Roof, All Wheel Drive, Power Liftgate, Back-Up Camera, Turbocharged, iPod/MP3 Input, Onboard Communications System, Cross-Traffic Alert, Smart Device Integration, Blind Spot Monitor. BMW xDrive40i with Dark Graphite Metallic exterior and Canberra Beige/Black SensaTec interior features a Straight 6 Cylinder Engine with 335 HP at 5500 RPM*. OPTION PACKAGES PREMIUM PACKAGE 2 Enhanced USB & Bluetooth, Head-Up Display, Wireless Charging, Gesture Control, WiFi Hotspot, CONVENIENCE PACKAGE 4-Zone Automatic Climate Control, SiriusXM Satellite Radio w/1 Year All Access, Comfort Access Keyless Entry, WHEELS: 20 X 9 V-SPOKE (STYLE 738) Tires: P275/45R20 Run-Flat AS, FRONT & REAR HEATED SEATS, REMOTE ENGINE START, HEATED FRONT SEATS W/ARMRESTS & STEERING WHEEL, SPORT SEATS (STD). Rear Spoiler, Privacy Glass, Steering Wheel Controls, Child Safety Locks, Electronic Stability Control. EXPERTS REPORT Edmunds.com's review says The ride is comfortable yet composed and manages to deal with most road surfaces without disturbing the passengers. The cabin is well-insulated from noise, too.. Horsepower calculations based on trim engine configuration. Fuel economy calculations based on original manufacturer data for trim engine configuration. Please confirm the accuracy of the included equipment by calling us prior to purchase. Nav System, Moonroof, Heated Seats, Panoramic Roof. Arctic Grey Metallic exterior and Black SensaTec interior, xDrive40i trim. SEE MORE! KEY FEATURES INCLUDE Navigation, Sunroof, Panoramic Roof, All Wheel Drive, Power Liftgate, Back-Up Camera, Turbocharged, iPod/MP3 Input, Onboard Communications System, Cross-Traffic Alert, Smart Device Integration, Blind Spot Monitor BMW xDrive40i with Arctic Grey Metallic exterior and Black SensaTec interior features a Straight 6 Cylinder Engine with 335 HP at 5500 RPM*. OPTION PACKAGES PREMIUM PACKAGE 2 Enhanced USB & Bluetooth, Head-Up Display, Wireless Charging, Gesture Control, WiFi Hotspot, CONVENIENCE PACKAGE 4-Zone Automatic Climate Control, SiriusXM Satellite Radio w/1 Year All Access, Comfort Access Keyless Entry, WHEELS: 20 X 9 V-SPOKE (STYLE 738) Tires: P275/45R20 Run-Flat AS, FRONT & REAR HEATED SEATS, REMOTE ENGINE START, HEATED FRONT SEATS W/ARMRESTS & STEERING WHEEL, SPORT SEATS (STD). Rear Spoiler, Privacy Glass, Steering Wheel Controls, Child Safety Locks, Electronic Stability Control. EXPERTS ARE SAYING Edmunds.com explains The ride is comfortable yet composed and manages to deal with most road surfaces without disturbing the passengers. The cabin is well-insulated from noise, too.. Horsepower calculations based on trim engine configuration. Fuel economy calculations based on original manufacturer data for trim engine configuration. Please confirm the accuracy of the included equipment by calling us prior to purchase. Nav System, Moonroof, Heated Seats, Panoramic Roof. Black Sapphire Metallic exterior and Black SensaTec interior, xDrive40i trim. CLICK ME! KEY FEATURES INCLUDE Navigation, Sunroof, Panoramic Roof, All Wheel Drive, Power Liftgate, Back-Up Camera, Turbocharged, iPod/MP3 Input, Onboard Communications System, Cross-Traffic Alert, Smart Device Integration, Blind Spot Monitor. BMW xDrive40i with Black Sapphire Metallic exterior and Black SensaTec interior features a Straight 6 Cylinder Engine with 335 HP at 5500 RPM*. OPTION PACKAGES PREMIUM PACKAGE 2 Enhanced USB & Bluetooth, Head-Up Display, Wireless Charging, Gesture Control, WiFi Hotspot, CONVENIENCE PACKAGE 4-Zone Automatic Climate Control, SiriusXM Satellite Radio w/1 Year All Access, Comfort Access Keyless Entry, WHEELS: 20 X 9 V-SPOKE (STYLE 738) Tires: P275/45R20 Run-Flat AS, FRONT & REAR HEATED SEATS, REMOTE ENGINE START, HEATED FRONT SEATS W/ARMRESTS & STEERING WHEEL, SPORT SEATS (STD). Rear Spoiler, Privacy Glass, Steering Wheel Controls, Child Safety Locks, Electronic Stability Control. EXPERTS ARE SAYING Edmunds.com explains The ride is comfortable yet composed and manages to deal with most road surfaces without disturbing the passengers. The cabin is well-insulated from noise, too.. Horsepower calculations based on trim engine configuration. Fuel economy calculations based on original manufacturer data for trim engine configuration. Please confirm the accuracy of the included equipment by calling us prior to purchase. Sunroof, Heated Seats, NAV. xDrive40i trim, Alpine White exterior and Cognac Vernasca Leather interior. EPA 26 MPG Hwy/20 MPG City! AND MORE! KEY FEATURES INCLUDE Navigation, Sunroof, Panoramic Roof, All Wheel Drive, Power Liftgate, Turbocharged, iPod/MP3 Input, Onboard Communications System, Cross-Traffic Alert, Smart Device Integration, Blind Spot Monitor BMW xDrive40i with Alpine White exterior and Cognac Vernasca Leather interior features a Straight 6 Cylinder Engine with 335 HP at 5500 RPM*. OPTION PACKAGES CONVENIENCE PACKAGE 4-Zone Automatic Climate Control, SiriusXM Satellite Radio w/1 Year All Access, Comfort Access Keyless Entry, PARKING ASSISTANCE PACKAGE Rear View Camera, Surround View w/3D View, Parking Assistant Plus, WHEELS: 20 X 9 V-SPOKE (STYLE 738) Tires: P275/45R20 Run-Flat AS, FRONT & REAR HEATED SEATS, REMOTE ENGINE START, HEATED FRONT SEATS W/ARMRESTS & STEERING WHEEL, SPORT SEATS (STD). Rear Spoiler, MP3 Player, Privacy Glass, Steering Wheel Controls, Child Safety Locks. EXPERTS ARE SAYING Edmunds.com's review says The ride is comfortable yet composed and manages to deal with most road surfaces without disturbing the passengers. The cabin is well-insulated from noise, too.. Horsepower calculations based on trim engine configuration. Fuel economy calculations based on original manufacturer data for trim engine configuration. Please confirm the accuracy of the included equipment by calling us prior to purchase. Nav System, Moonroof, Heated Seats, SPORT SEATS. Black Sapphire Metallic exterior and Black Vernasca Leather interior, xDrive40i trim. CLICK ME! KEY FEATURES INCLUDE Navigation, Sunroof, Panoramic Roof, All Wheel Drive, Power Liftgate, Turbocharged, iPod/MP3 Input, Onboard Communications System, Cross-Traffic Alert, Smart Device Integration, Blind Spot Monitor. BMW xDrive40i with Black Sapphire Metallic exterior and Black Vernasca Leather interior features a Straight 6 Cylinder Engine with 335 HP at 5500 RPM*. OPTION PACKAGES CONVENIENCE PACKAGE 4-Zone Automatic Climate Control, SiriusXM Satellite Radio w/1 Year All Access, Comfort Access Keyless Entry, PARKING ASSISTANCE PACKAGE Rear View Camera, Surround View w/3D View, Parking Assistant Plus, WHEELS: 20 X 9 V-SPOKE (STYLE 738) Tires: P275/45R20 Run-Flat AS, FRONT & REAR HEATED SEATS, REMOTE ENGINE START, HEATED FRONT SEATS W/ARMRESTS & STEERING WHEEL, SPORT SEATS (STD). Rear Spoiler, MP3 Player, Privacy Glass, Steering Wheel Controls, Child Safety Locks. EXPERTS ARE SAYING Edmunds.com explains The ride is comfortable yet composed and manages to deal with most road surfaces without disturbing the passengers. The cabin is well-insulated from noise, too.. Horsepower calculations based on trim engine configuration. Fuel economy calculations based on original manufacturer data for trim engine configuration. Please confirm the accuracy of the included equipment by calling us prior to purchase. NAV, Sunroof, Heated Seats, All Wheel Drive, iPod/MP3 Input, Power Liftgate. xDrive40i trim. FUEL EFFICIENT 26 MPG Hwy/20 MPG City! CLICK ME! KEY FEATURES INCLUDE Navigation, Sunroof, Panoramic Roof, All Wheel Drive, Power Liftgate, Turbocharged, iPod/MP3 Input, Onboard Communications System, Cross-Traffic Alert, Smart Device Integration, Blind Spot Monitor BMW xDrive40i with Black Sapphire Metallic exterior and Black Vernasca Leather interior features a Straight 6 Cylinder Engine with 335 HP at 5500 RPM*. OPTION PACKAGES CONVENIENCE PACKAGE 4-Zone Automatic Climate Control, SiriusXM Satellite Radio w/1 Year All Access, Comfort Access Keyless Entry, PARKING ASSISTANCE PACKAGE Rear View Camera, Surround View w/3D View, Parking Assistant Plus, WHEELS: 20 X 9 V-SPOKE (STYLE 738) Tires: P275/45R20 Run-Flat AS, FRONT & REAR HEATED SEATS, REMOTE ENGINE START, HEATED FRONT SEATS W/ARMRESTS & STEERING WHEEL, SPORT SEATS (STD). Rear Spoiler, MP3 Player, Privacy Glass, Steering Wheel Controls, Child Safety Locks. EXPERTS ARE SAYING The ride is comfortable yet composed and manages to deal with most road surfaces without disturbing the passengers. The cabin is well-insulated from noise, too. -Edmunds.com. Horsepower calculations based on trim engine configuration. Fuel economy calculations based on original manufacturer data for trim engine configuration. Please confirm the accuracy of the included equipment by calling us prior to purchase. Moonroof, Heated Seats, Nav System, SPORT SEATS. xDrive40i trim, Black Sapphire Metallic exterior and Black Vernasca Leather interior. READ MORE! KEY FEATURES INCLUDE Navigation, Sunroof, Panoramic Roof, All Wheel Drive, Power Liftgate, Turbocharged, iPod/MP3 Input, Onboard Communications System, Cross-Traffic Alert, Smart Device Integration, Blind Spot Monitor. BMW xDrive40i with Black Sapphire Metallic exterior and Black Vernasca Leather interior features a Straight 6 Cylinder Engine with 335 HP at 5500 RPM*. OPTION PACKAGES CONVENIENCE PACKAGE 4-Zone Automatic Climate Control, SiriusXM Satellite Radio w/1 Year All Access, Comfort Access Keyless Entry, PARKING ASSISTANCE PACKAGE Rear View Camera, Surround View w/3D View, Parking Assistant Plus, WHEELS: 20 X 9 V-SPOKE (STYLE 738) Tires: P275/45R20 Run-Flat AS, FRONT & REAR HEATED SEATS, REMOTE ENGINE START, HEATED FRONT SEATS W/ARMRESTS & STEERING WHEEL, SPORT SEATS (STD). Rear Spoiler, MP3 Player, Privacy Glass, Steering Wheel Controls, Child Safety Locks. EXPERTS ARE SAYING The ride is comfortable yet composed and manages to deal with most road surfaces without disturbing the passengers. The cabin is well-insulated from noise, too. -Edmunds.com. Horsepower calculations based on trim engine configuration. Fuel economy calculations based on original manufacturer data for trim engine configuration. Please confirm the accuracy of the included equipment by calling us prior to purchase. NAV, Sunroof, Heated Seats, Panoramic Roof. Black Sapphire Metallic exterior and Black Vernasca Leather interior, xDrive40i trim. READ MORE! KEY FEATURES INCLUDE Navigation, Sunroof, Panoramic Roof, All Wheel Drive, Power Liftgate, Turbocharged, iPod/MP3 Input, Onboard Communications System, Cross-Traffic Alert, Smart Device Integration, Blind Spot Monitor. BMW xDrive40i with Black Sapphire Metallic exterior and Black Vernasca Leather interior features a Straight 6 Cylinder Engine with 335 HP at 5500 RPM*. OPTION PACKAGES CONVENIENCE PACKAGE 4-Zone Automatic Climate Control, SiriusXM Satellite Radio w/1 Year All Access, Comfort Access Keyless Entry, PARKING ASSISTANCE PACKAGE Rear View Camera, Surround View w/3D View, Parking Assistant Plus, WHEELS: 20 X 9 V-SPOKE (STYLE 738) Tires: P275/45R20 Run-Flat AS, FRONT & REAR HEATED SEATS, REMOTE ENGINE START, HEATED FRONT SEATS W/ARMRESTS & STEERING WHEEL, SPORT SEATS (STD). Rear Spoiler, MP3 Player, Privacy Glass, Steering Wheel Controls, Child Safety Locks. EXPERTS RAVE Edmunds.com's review says The ride is comfortable yet composed and manages to deal with most road surfaces without disturbing the passengers. The cabin is well-insulated from noise, too.. Horsepower calculations based on trim engine configuration. Fuel economy calculations based on original manufacturer data for trim engine configuration. Please confirm the accuracy of the included equipment by calling us prior to purchase. When BMW built the first X5, they didn’t just create another SUV. Instead, they invented something entirely new: the Sports Activity Vehicle. The 2018 BMW X5 Sports Activity Vehicle is your ticket to drive anywhere you want to explore. The incredible stability and agility of the BMW X5 lets you handle any drive, and conquer every terrain under any conditions. The BMW X5 is the largest of the X Models and the ultimate in luxury, power and space. With three rows of seating the BMW X5 is a passenger’s paradise and fits up to seven people. Optional Comfort Rear Seats lets your passengers recline to get up to 3 inches of extra legroom. The 2018 BMW X5 lineup at Habberstad BMW of Bay Shore pushes luxury to new heights. With interior options trimmed in real wood or brushed metal, seats covered in durable SensaTec or optional top-quality leather, and a host of interior options from Ambient lighting to Comfort and Heated rear seats. The BMW X5 is yours to design with luxury at the starting point. Be sure to visit Habberstad BMW of Bay Shore to see our wide variety of interior design options on our selection of BMW X5 vehicles. If you are looking for the vehicle that makes a more powerful impression, the BMW X5 is the only choice for you. With endless body styles, trims, packages, and options, you will be sure to make your 2018 BMW X5 one of a kind. Start with a test drive at Habberstad BMW of Bay Shore to see why this original Sports Activity Vehicle is the car you have always dreamed of and more. When you let your foot hit the pedal and feel the advanced BMW engineering at work behind the luxurious BMW X5, you won’t want to step away. 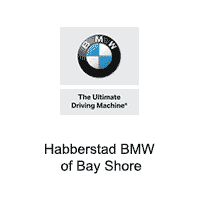 And now with limited time offers at Habberstad BMW of Bay Shore, you won’t have to. Give your Habberstad BMW of Bay Shore Client Advisors a call to learn more about the prices you won’t be able to turn down. Regardless of whether you reside in Brightwater or Baywood, Islip or Bay Shore, or beyond the immediate surroundings of our Long Island BMW dealership, we’re sure you’ll find it worth the trip to see the 2018 BMW X5 lineup now available at Habberstad BMW of Bay Shore.